that's so awesome :) love the purple! Well firsts are always great! I love the inventive, bright color scheme. I first thought that the top of the gun should be gold, however after noticing the blade on top, gunmetal balances it out better. As for he name... Probably something multi-syllable. How about Richard Cole? He says it with an almost regal air and then says "Don't ever call me Ricky. Or Rich. Or any name other than... Richard Cole!" Oh, and, I really like "Cole". At first I didn't get it, but then I realized that A: Cole is like cold, which really captures the brumal(wintry) essence of the purple. B: Cold is like gold, which is another color of Cole's. C: Cold and gold both hint at bold, pointing towards his personality, and all three resemble old, as in old enough to be wise(in Cole's eyes), but not so much so as to be rendered helpless against even a bee. Therefore D: Cole is the absolute best last name for him. E: I like the physical format just as much as the name. The purple spikes were a little odd, but still complemented the set very well. All in all, excellent! COOL MOC.MAYBE HIS FIRST NAME COULD BE TOXIC! Hey, there's another Lego guy named Cole.The ninja.Not to offend you.This is way more awesome! @Anonymous (8th comment)- I THINK YOU MIGHT HAVE CAPS LOCK ON. Uh... No offense, but Toxic Cole? First of all there is already a character with Toxic as the first word of the name, and second of all, how is that really a first name? @Anonymous (9th comment)- And pickles are square. Does it matter? Possibly a green MOC next, JANG? 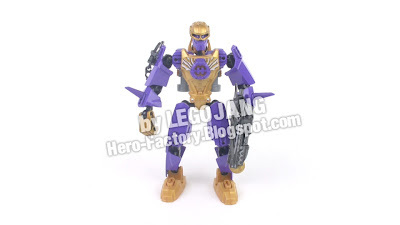 Ironic, your first breakout moc has the same name as me! should be somethin like alfred cole?jason cole?jaden cole?